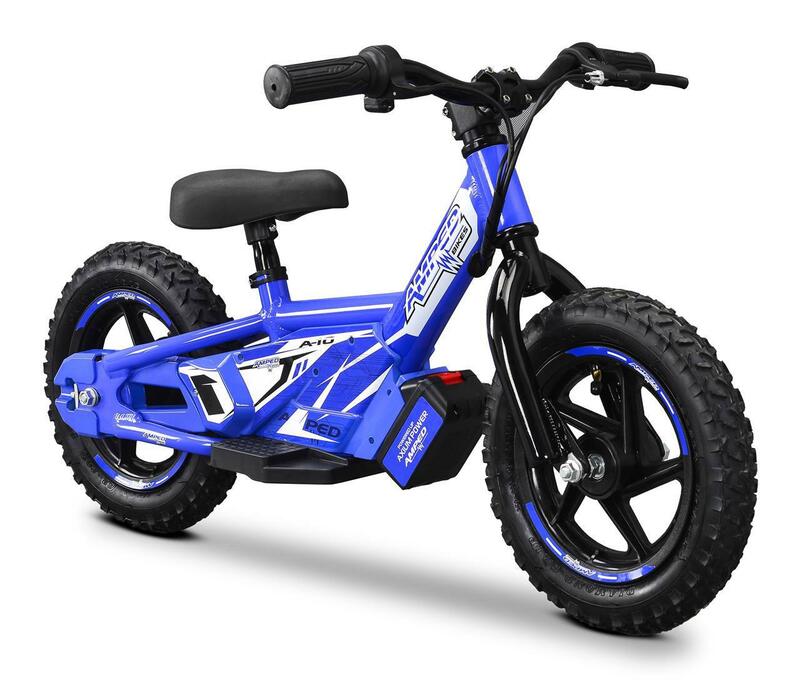 Available in five colour options from late February to early March, the Revvi Twelve" electric balance bike will start at a base price of £299 and will cater for budding bikers ranging from two to six years old. Using a 24V 100W electric brush motor, Revvi recommend using the machine without power input until the age of three, before progressing to the 5mph slow speed setting until four-years-old. Children aged between five and six are then advised to progress to the faster mode - taking the bike to 10mph with its twist and go transmission. The bike is designed for a maximum load of 34kg and is capable of up to an hour's riding time. Charging then takes between one and two hours, meaning you can be back out riding in no time, too. Away from the battery and motor, the Twelve" comes with an adjustable seat height ranging from 39cm to 44cm, which sits atop the bike's aluminium frame, steel forks and 12 inch rims. There's also a chain drive and stopping you is a rear drum brake. 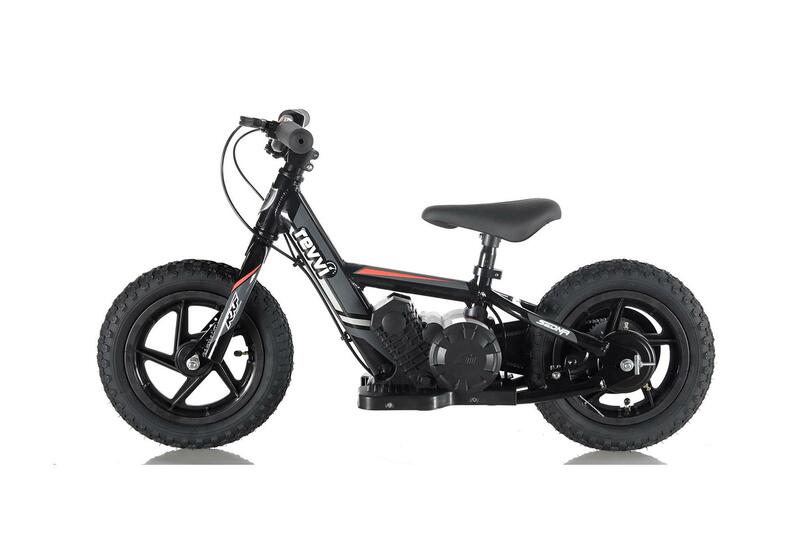 Designed for children between the ages of two and four years, much like the aforementioned Revvi the new Amped A10 has been created to teach kids the art of throttle control from an earlier age. Available in the UK from February 2019 onwards, the £399 A10 uses a 100W motor, powered by a 18V IBV Lithium battery, capable of a top speed of 10kph (around 6mph). Charging takes between five and six hours between rides, with the motor producing 4.4ft-lb of torque. Around the same speed as fast walking pace, it’s a manageable pace for supervising parents, and bridges the gap between a conventional balance bike and a motorcycle – allowing kids to progress to focused machines more quickly. Weighing just 9kg and with a manageable seat height of 400mm, the bike is available in a number of colours including red, blue, green, pink and black. Motorcycle-inspired conventional balance bike experts, Kiddimoto, have created a new motocross-styled full face helmet specifically for children aged between two and 12 years. 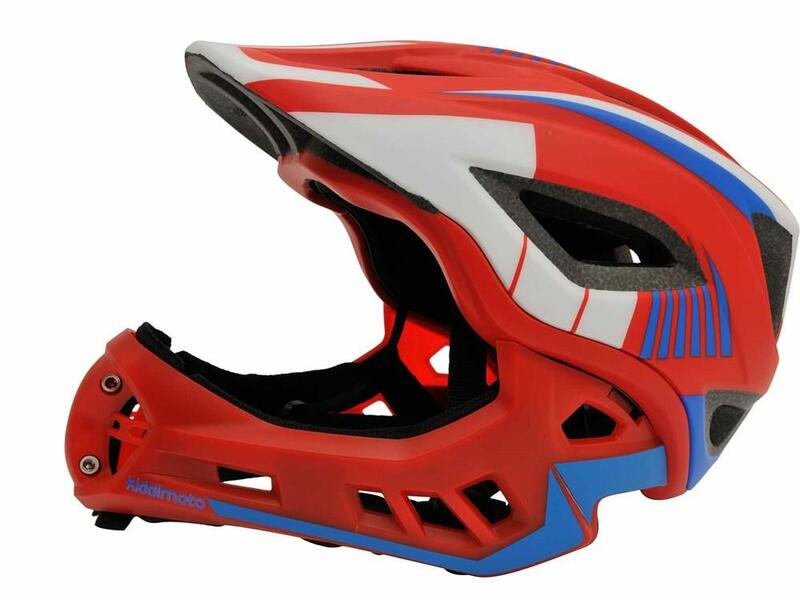 The helmets arrived in stock on January 15.